Capacity management is the most underestimated problem of cloud computing, says Morgan Stanley executive director for IT strategy Evangelos Kotsovinos. Evangelos Kotsovinos is leading cloud computing strategy and execution at Morgan Stanley. “One of the main reasons for using cloud computing services is to get efficiency and cost savings. 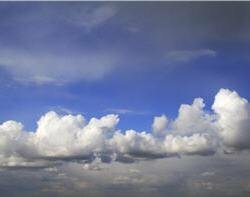 And maximum IT efficiency on the cloud comes from good capacity planning and management,” Kotsovinos said at the Cloud Expo Europe 2013 event. But it is still the most overlooked and underestimated aspect of the cloud, he said. When the CEO of a rust-belt manufacturer speaks of cloud computing as critical to his company’s business strategies for competing globally, it’s clear a fundamental shift is underway. Nearly every manufacturing company I’ve spoken with in the last ninety days has a mobility roadmap and is also challenged to integrate existing ERP, pricing and fulfillment systems into next-generation selling platforms. The latest market forecasts for cloud computing are predicting 30% annual growth in the industry, as more and more people adopt the latest technology to store information in a virtual space. But cloud computing isn't just for data, you can also use it to run applications and software remotely, without being tied to one computer. For a small businesses, outsourcing IT to the cloud lowers the need for specialist skills and frees managers to concentrate on the core business. It may cost slightly more than in-house IT, but this is often outweighed, as it can sometimes enable a small company to take a "big company" approach to problems by increasing efficiency. There has been no shortage of assumptions made and confusion about cloud computing, along with boatloads of conventional wisdom. But the rise of cloud brings with it some so far unanswerable questions. Here are just seven of the great unsolved mysteries that are accompanying the great cloud computing migration of the 2010s. Cloud computing has a growing problem: Many providers haven't built contract negotiations into their customer on-boarding processes. Instead, they offer "take it or leave it" contracts that protect the provider from everything, transferring all responsibility, liability, and risk to the businesses using the cloud services. Small and medium-sized businesses have accepted such contracts because they can't afford the lawyers to second-guess them. But large businesses have lawyers, and they aren't about to enter into such one-sided contracts.